We are seeking a full time recent (up to 2 years experience) graduate dentist to join our growing practice in Warana, on the beautiful Sunshine Coast, Queensland. The practice has been established for 8 years. It has been purpose-built with state of the art equipment and is completely digital. We utilize cerec omnicam, CBCT, implant equipment, rotary endo equipment, 3D scanner and much more. We have proudly grown our team, services and patient base and believe it’s now time to open our doors to provide an incredible opportunity for a new comer to the industry to be surrounded by our amazing team. Currently, we have four full-time dentists and two hygienists who are excited to mentor and foster the growth of a new graduate dentist. A comprehensive training program will be created based on the individual skills of the chosen candidate. As an example training will involve; observing routine and complex treatment cases; attending regular clinical meetings with the principal dentist and his team, and participating in communication skills and treatment planning training sessions. We are not affiliated with any health funds however enjoy a high number of new patients each month. Therefore, the right candidate can expect success in growing their books over time. To assist with this, you will have the support from a team that is highly engaged and skilled in patient communication and exceptional service. The practice has dedicated the last eight years to adopting highly effective communication skills both towards fellow team members and our patients. Adopting these skills will be paramount in the success of the chosen applicant and will be a key focus during the initial training phase. -Love being part of, and contribute to a team, dedicated to providing an exceptional service at every visit. -Are striving for clinical excellence in every aspect of their role as a health care provider. -Have a high level of personal accountability. -Never compromises on quality and care. -Understands that growth and success takes time but with hard work, knowledge of personal shortcomings and a lot of patience and taking on advice, great things will happen. 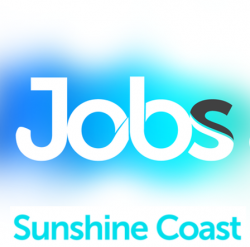 This opportunity is well suited to a dentist who is looking to commit to a long term position and make the Sunshine Coast their home for years to come. Applicants must possess a high degree of confidence coupled with the desire to learn and implement new skills on a continual basis to improve patient care and service. If this sounds like the opportunity you have been dreaming about to kick off your career, please forward your resume and cover letter below. 2018 Graduates and those with 1 – 2 years experience to apply.